This Irish apron features a blessing along with plenty of shamrocks and a thatched roof cottage. This Irish oven glove includes shamrocks and features an Irish blessing. This Irish oven glove features an Irish blessing and includes the Claddagh along with Celtic knots and a shamrock. 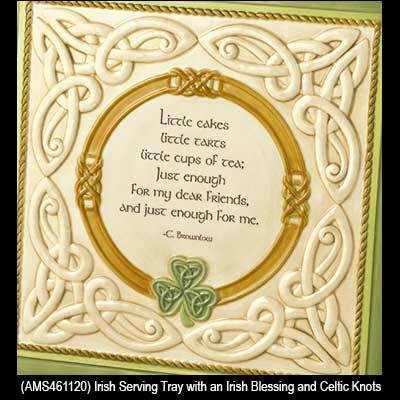 This Irish blessing serving tray with Celtic knots and shamrocks is enhanced with a dimensional design. 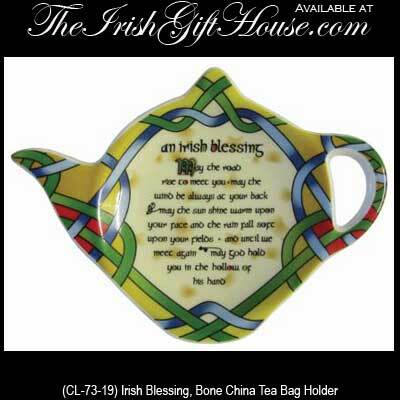 Sorry, this Irish blessing platter is now sold out.